Love Zwart backpacks? With great product lineup, Zwart is known for its quality products and now get Zwart 25 Ltrs Purple And Blue School Backpack (114101GPY) at Rs 426. Hurry up and order before the stock runs out. 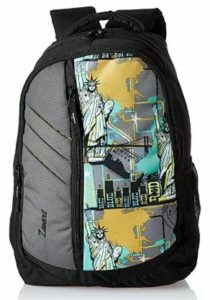 How to Buy Zwart 25 Ltrs Purple And Blue School Backpack (114101GPY) at Rs 426?